Turkey’s recent elections have caused a major stir in its political dynamics for two reasons. First, the people of Turkey have shown their relative disenchantment with the incumbent AKP. For the first time in 13 years, the Justice and Development Party (AKP) has found itself short of a majority required to form a government on its own. Furthermore, the resolve of President Recep Tayyip Erdogan to transform the political system from parliamentary to a presidential republic, in the event of the AKP winning a majority of seats, has been laid to rest for now. The election results present an important challenge for the AKP because it is not used to forming and leading coalition governments and Turkish political culture is largely averse to rule by coalition governments. Second, the Kurds have achieved a historic milestone with their most representative party, the People’s Democratic Party (HDP), making it into the parliament via cracking the near-impossible 10% threshold. They have created an unprecedented opportunity to advance their cause for further democratization of Turkey, re-energizing the peace process and winning greater constitutional rights for Kurds. The key question now is whether the HDP will seize this opportunity or squander it? Conversely, will the AKP abandon its solid track record for further stabilizing Turkey, adding to its economic prosperity and taking the peace process to its final destination? Intriguingly, as soon as the results were announced on Sunday night [June 7], Selahattin Demirtas, co-leader of the HDP, appeared to slam the door in the face of entering any coalition with the AKP. This looked unreasonable, but is understandable. This is what he had pledged to his voters during the election campaign; he also must have wanted to play hard at the outset. However, the very next day, he gave a talk in Istanbul, indicating that the door is not quite shut, leaving some hope for striking a deal with the AKP. Ahmet Davutoglu, the acting prime minister, put on a brave face, emphasizing that the AKP emerged as the single largest party in parliament and that the formation of a government was very difficult without them. However, the AKP by all definitions is the loser because it now is in a most vulnerable position. They are faced with stark choices, including forming a coalition government with one of their many bitter rivals, trying to form a minority government, watching the Republican People’s Party (CHP) form a minority government, or ending up with a call for an early election. Judging from their recent nationalistic trends and their attempts to win nationalists’ votes, the AKP is more likely to lean towards the Nationalist Movement Party (MHP) than its arch rival CHP or, indeed, the HDP to form a coalition government. This would be bad news for the Kurds, for the HDP and possibly for most AKP voters. This will not only be a relatively fragile and short-lived coalition, but it will also prevent the AKP from consolidating previous achievements, particularly in relation to the Kurdish peace process and strengthening economic ties with the Kurdistan Regional Government. One of the MHP’s major conditions for aligning with the AKP (or supporting the CHP to form a minority government), is to abandon the Kurdish peace process, which would clearly spell disaster for Turkish democracy and stability, AKP’s legacy and Kurdish aspirations. These run the risk of taking Turkey back to old and escalating militarization patterns. HDP leaders would, therefore, be well advised to pull the rug from underneath the MHP and actively engage with the AKP in serious negotiations about a mutually rewarding outcome. The HDP should clearly and unequivocally put its demands for constitutional changes on the table, which they can then use to win their voters’ support for entering the coalition government. This will also give the HDP four years of full access to government institutions where they can sustain their campaign for greater institutional reform and democratization. A HDP-AKP coalition will not only be good for domestic politics, but also will continue to build on the success stories Turkey has achieved in the Kurdistan Region of Iraq. The KRG would find it in its interest to see a stable and demilitarized Turkey where Kurds win their rights and ensure its own continued economic viability as a regional hub for trade and the export of oil and gas to Turkey and beyond. A HDP-AKP coalition would also help engender positive moves towards Iraq’s internal issues where Turkey considers itself a stakeholder, particularly those that relate to the Kirkuk and Turkmen minority. Such issues are destined to become complicated if the MHP enters the government with their narrowly defined Turkish nationalistic approach. 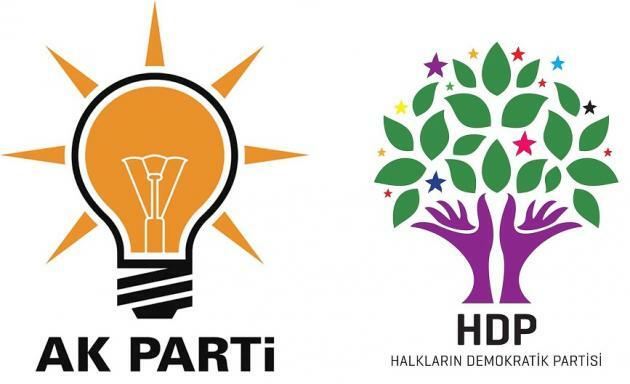 Finally, the AKP as the party with the plurality of seats in the parliament must realize that a HDP-AKP coalition based on mutual trust would be a far safer bet than aligning with the conservative MHP, or giving the CHP an opportunity to form an anti-AKP minority government. The people of Turkey have spoken and the elites must now find effective ways and means in order to ensure that the voice of the people is represented and respected in the parliament so that Turkey moves forward and present political, social and economic gains are consolidated.